He's already doubled in weight — and loves his new swimming pool. TinTin used to have a home in Bali, Indonesia, but when the pit bull got sick, his owner took him to the vet and never came back for him. The vet should have helped TinTin, but instead he left the dog inside a kennel, and hardly bothered to feed him. 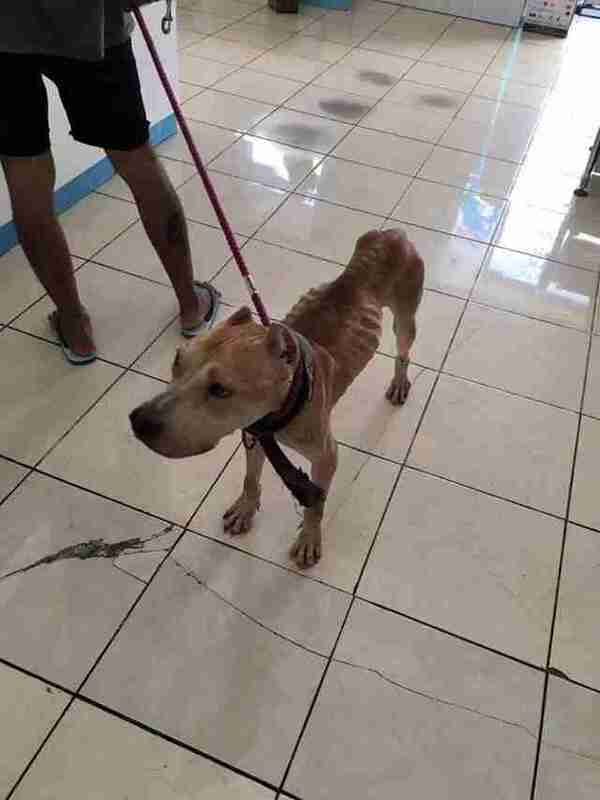 Ebony Owens, director at Bali Dog Adoption and Rehabilitation Centre (BARC), suspects that the owner wasn't giving the vet any money, so the vet didn't bother feeding or caring for TinTin. 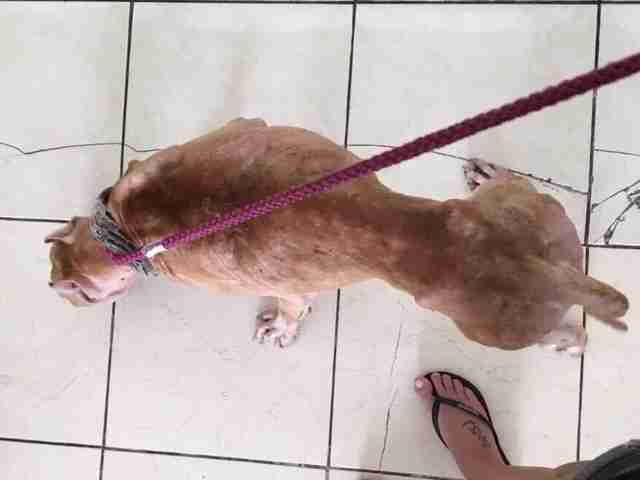 In August 2016, Owens got a Facebook message from a local man who'd seen TinTin wasting away at the vet clinic. "When I saw the photo of TinTin, I knew BARC had to help," Owens told The Dodo. "We had to act quickly because he didn't have long left. 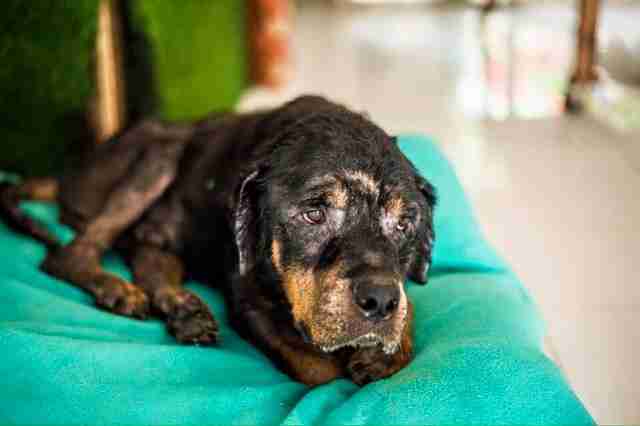 At that point, we didn't know what was wrong with him - all we could do was hope." 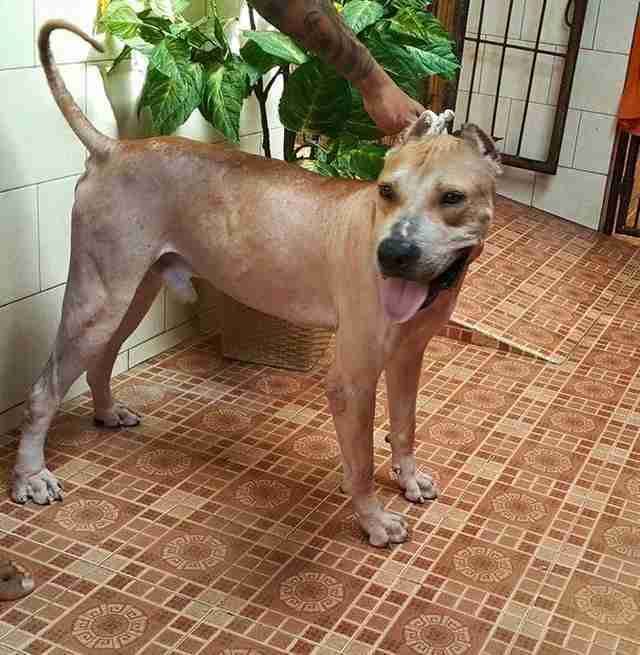 Owens collected TinTin from the vet and whisked him off to a different vet - Sunset Vet in Bali. There, the vet team immediately put him on IV fluids and started feeding him around the clock. They also did full blood tests to figure out what was wrong with him. 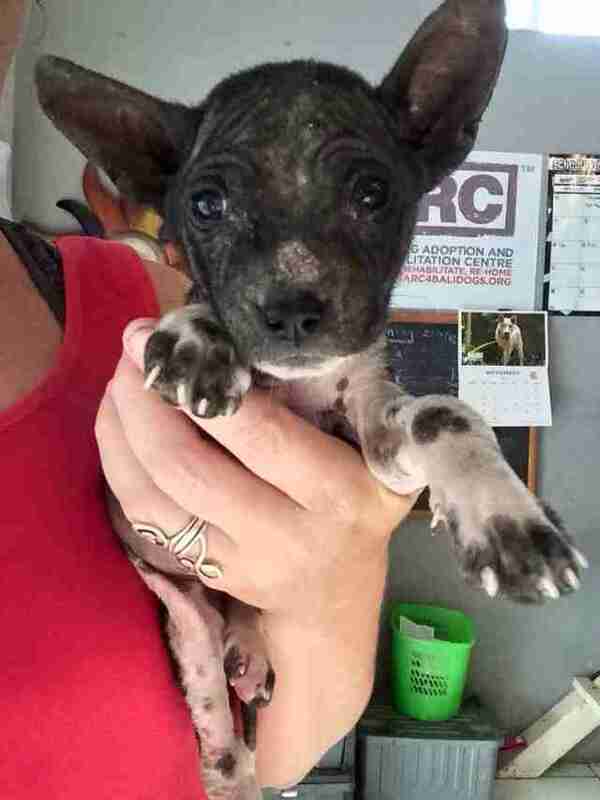 "We thought by the state of him he must have had kidney failure or something drastic, but it turned out he had a mild case of blood parasite carried by ticks," Owens said. "His main problem was starvation." 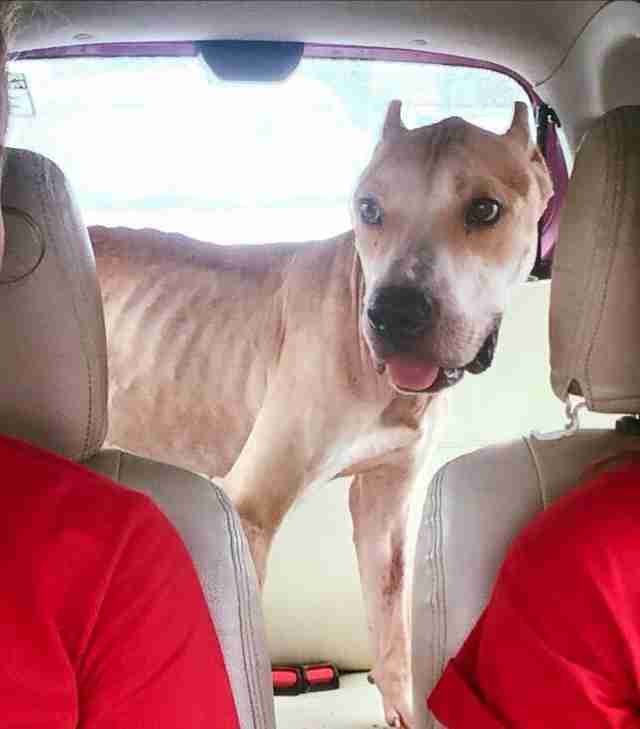 It's possible that TinTin had already been starving when his original owner took him to the vet, but the first vet's neglect of TinTin certainly didn't help. Unfortunately, TinTin's situation is far from unusual. 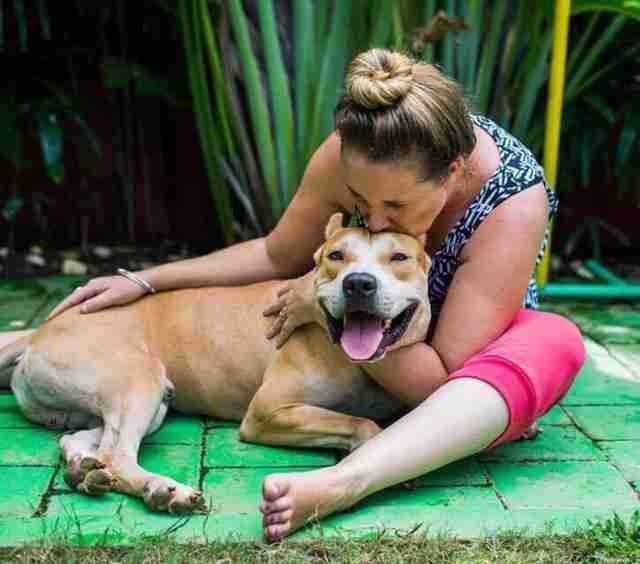 In Bali, Indonesia, Western breeds like pit bulls are often imported into the country and kept as trophies or symbols of wealth and power, Owens explained. But these so-called trophy dogs are not treated well at all - they're usually kept in cages or on chains, and fed very little. "There's an extreme lack of knowledge here of the appropriate care of these [Western] breeds, so most often they end up behind bars for life with completely inadequate care," Owners said. "One misconception in Bali is that dogs should be kept in cages, especially 'expensive' dogs who are often just kept as status symbols of well-off families. 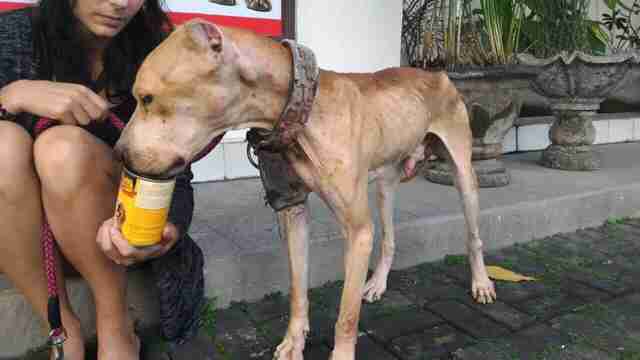 TinTin was most likely being kept by his owner in a cage that he never came out of." 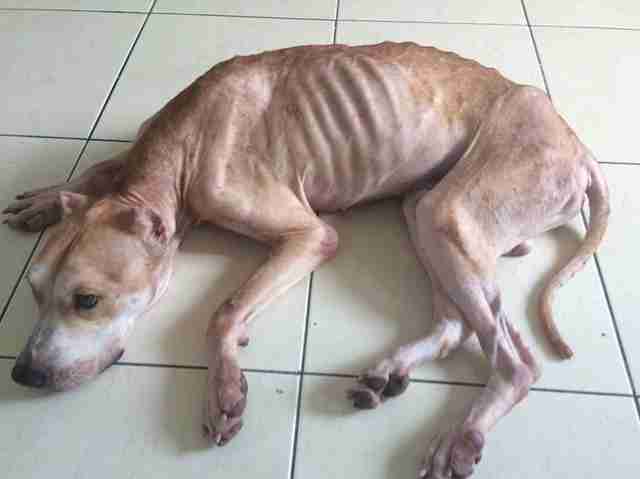 Western dogs aren't the only animals who are mistreated in Bali. Indigenous Bali dogs - that is, dogs who have lived in Bali for over 12,000 years - are also treated with disdain, and the Balinese government frequently kills the dogs en masse with poison darts. 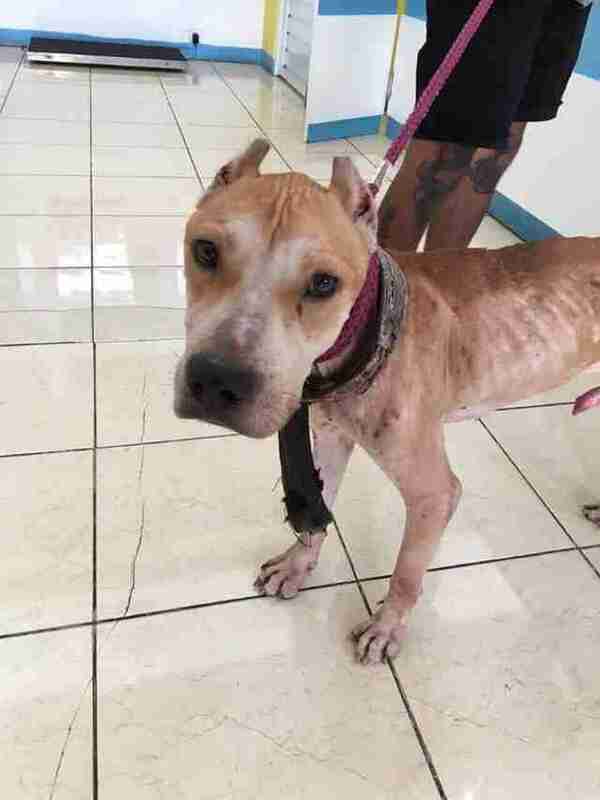 BARC works to save Bali dogs, but the group also do everything it can to help other animals, including Western dogs like TinTin. Over the course of two months, TinTin fully recovered - he doubled in weight, and he's finally enjoying everything life has to offer. "He's a very active boy, so he loves to run and play, and he especially loves playing fetch," Owens said. "He loves attention from anyone. He still has 100 percent trust and faith in humans even after all they had done to him." 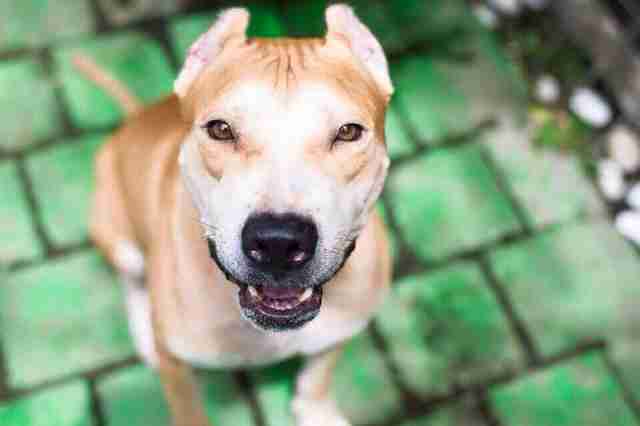 While TinTin waits to be adopted into his forever home, he's temporarily living at Canggu Pet Resort, which houses a lot of dogs rescued by BARC. 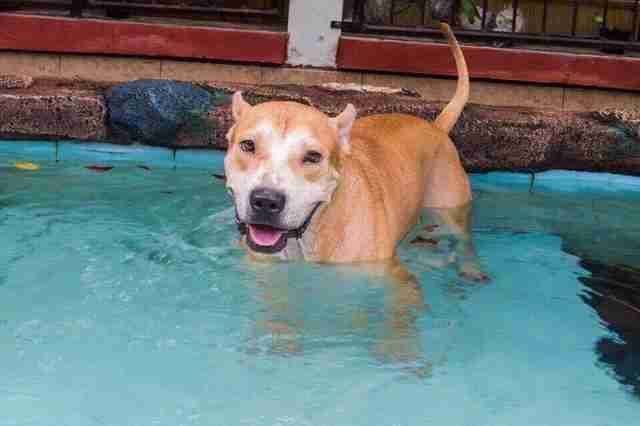 At the pet resort, TinTin gets to play with lots of doggy friends, and even swim in a pool. "He loves it!" Owens said. 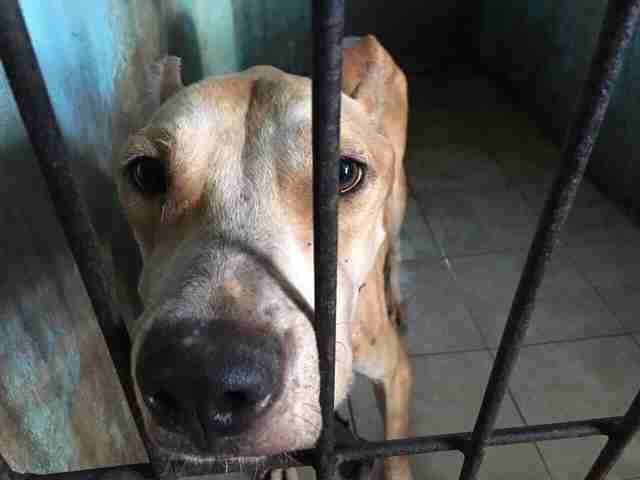 To help Bali's dogs, and save more dogs like TinTin, you can make a donation to BARC. If you're based in Bali and you'd like to adopt TinTin, contact BARC.